TAIPEI (Taiwan News) -- After posting live video of herself splashing black ink on a poster of Xi Jingping to protest the tyranny of the Chinese Communist Party in Shanghai yesterday (July 4), a female Chinese streamer has disappeared, according to VOA. 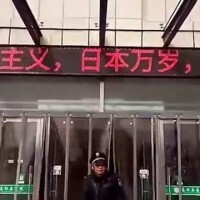 During a live broadcast online yesterday at 6:40 a.m. in front of the Hainnan Airlines office in Shanghai's Lujizui , a female Chinese streamer who goes by the Twitter handle "feefeefly" announced that she was protesting Xi Jinping's "authoritarian tyranny" and the Chinese Communist Party's "mind control persecution." She then splashed black ink on the portrait of the portly Chinese dictator and shouted "Oppose Xi Jinping authoritarian tyranny!" The then said, "Xi Jinping, I'm here waiting for you to nab me. I'm just one person. Oppose the Chinese Communist Party! 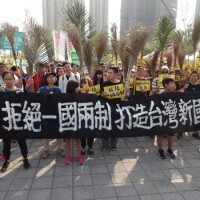 Oppose the authoritarian tyranny of the Chinese Communist Party! I'm just here waiting for you to nab me." 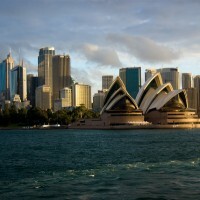 She also called on international organizations to intervene and that she would testify to before them. By 3 p.m. that day, she posted a tweet saying, "There are a group of uniformed men were outside my door. I will change my clothes and go out shortly. I have committed no crime. It is the organization that has harmed me that has committed the crime." Her Twitter account then quickly disappeared and her video was no longer accessible. The day before she posted her video, she wrote "All people should have the right to be free from fear. I'm going to the street tomorrow, if I'm irritated, I'll tear it up. I have been living life with the Communist Party constantly monitoring me for a year, I can't take it anymore!" 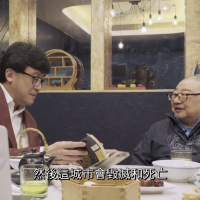 When VOA reporters tried to contact the Shanghai Public Security Bureau yesterday about the streamer's disappearance, they said they were not aware of the case and suggested the reporter fill out an interview request via fax. Yesterday evening, netizens disclosed the phone number of the woman and identified her as Dong Yaoqiong (董瑶琼), who was born Zhuzhou City in Hunan Province in 1989. Dong was reported to have worked in real estate in Shanghai, but calls to her phone number were unanswered. One of her last Twitter posts called for the attention of the international community and human rights organizations. 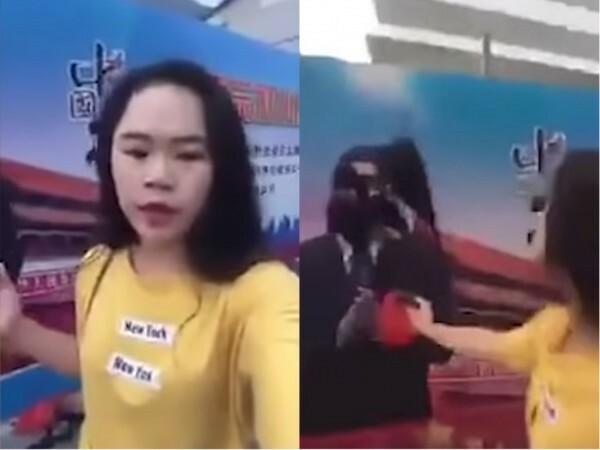 Some netizens compared her bold act to the 1989 Mao portrait vandalism incident when three young protesters from Liuyang, Hunan splashed eggs with ink on the painting of Mao Zedong in Tiananmen Square. The three were given long sentences in prison ranging from 16 to 20 years in prison, before eventually receiving asylum in the United States.